The Greek philosopher and scientist Aristotle created the scientific method, the process used for scientific investigation. His influence served as the basis for much of the science and philosophy of Hellenistic (Ancient Greek) and Roman times, and even affected science and philosophy thousands of years later. Aristotle was born in the small Greek town of Stagiros (later Stagira) in the northern Greek district of Chalcidice. His father, Nicomachus, was a physician who had important social connections. Aristotle's interest in science was surely inspired by his father's work, although Aristotle did not display a particularly keen interest in medicine. The events of his early life are not clear. It is possible that his father served at the Macedonian court (the political leaders of Macedonia, an ancient empire) as physician to Amyntas II (died c. 370 B.C.E. ) and that Aristotle spent part of his youth there. At the age of seventeen Aristotle went to Athens, Greece, and joined Plato's (c. 428–c. 348 B.C.E. ) circle at the Academy, a school for philosophers. There he remained for twenty years. Although his respect and admiration for Plato was always great, differences developed which ultimately caused a break in their relationship. Upon Plato's death Aristotle left for Assos in Mysia (in Asia Minor, today known as Turkey), where he and Xenocrates (c. 396–c. 314 B.C.E. ) joined a small circle of Platonists (followers of Plato) who had already settled there under Hermias, the ruler of Atarneus. Aristotle married the niece of Hermias, a woman named Pythias, who was killed by the Persians some time thereafter. In 342 B.C.E. Aristotle made his way to the court of Philip of Macedon (c. 382–c. 336 B.C.E. ). There Aristotle became tutor to Alexander (c. 356–c. 323 B.C.E. ), who would become master of the whole Persian Empire as Alexander the Great. Little information remains regarding the specific contents of Alexander's education at the hands of Aristotle, but it would be interesting to know what political advice Aristotle gave to the young Alexander. The only indication of such advice is found in the fragment of a letter in which the philosopher tells Alexander that he ought to be the leader of the Greeks but the master of the barbarians (foreigners). Aristotle returned to Athens around 335 B.C.E. Under the protection of Antipater (c. 397–c. 319 B.C.E. ), Alexander's representative in Athens, Aristotle established a philosophical school of his own, the Lyceum, located near a shrine of Apollo Lyceus. Also known as the Peripatetic School, the school took its name from its colonnaded walk (a walk with a series of columns on either side). The lectures were divided into morning and afternoon sessions. The more difficult ones were given in the morning, and the easier and more popular ones were given in the afternoon. Aristotle himself led the school until the death of Alexander in 323 B.C.E. , when he left Athens, fearing for his safety because of his close association with the Macedonians. He went to Chalcis, Greece, where he died the following year of intestinal problems. His will, preserved in the writings of Diogenes Laertius (third century C.E. ), provided for his daughter, Pythias, and his son, Nicomachus, as well as for his slaves. of Diogenes Laertius and from others. Among these important works are Rhetoric, Eudemus (On the Soul), On Philosophy, Alexander, Sophistes, On Justice, Wealth, On Prayer, and On Education. They were a wide variety of works written for the public, and they dealt with popular philosophical themes. The dialogues of Plato were undoubtedly the inspiration for some of them, although the fall out between Plato and Aristotle reveals itself to a certain extent in these works, too. A second group of writings is made up of collections of scientific and historical material, among the most important of which is the surviving fragment of the Constitution of the Athenians. This formed part of the large collection of Constitutions, which Aristotle and his students collected and studied for the purpose of analyzing various political theories. The discovery of the Constitution of the Athenians in Egypt in 1890 shed new light on the nature of the Athenian democracy (a government of elected officials) of Aristotle's time. It also revealed the difference in quality between the historical and scientific works of Aristotle and those that followed. 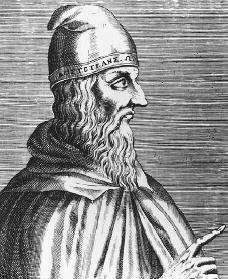 Theophrastus (c. 372–c. 287 B.C.E. ) had kept Aristotle's manuscripts after the master's death in 322 B.C.E. When Theophrastus died Aristotle's works were hidden away and not brought to light again until the beginning of the first century B.C.E. They were then taken to Rome and edited by Andronicus (first century B.C.E. ). The texts that survive today come from Andronicus's revisions and probably do not represent works that Aristotle himself prepared for publication. From the time of his death until the rediscovery of these writings, Aristotle was best known for the works that today are known as the lost writings. The writings that did survive, however, are sufficient to show the quality of Aristotle's achievement. The Topics and the Analytics deal with logic (the study of reasoning) and dialectic (a method of argument) and reveal Aristotle's contributions to the development of debate. His view of nature is set forth in the Physics and the Metaphysics, which mark the most serious difference between Aristotelianism and Platonism: that all investigation must begin with what the senses record and must move only from that point to thought. As a result of this process of intellectualizing, God, who for Plato represents beauty and goodness, is for Aristotle the highest form of being and is completely lacking in materiality. Aristotle's God neither created nor controls the universe, although the universe is affected by this God. Man is the only creature capable of thought even remotely resembling that of God, so man's highest goal is to reason abstractly, like God, and he is more truly human to the extent that he achieves that goal. Aristotle's work was often misunderstood in later times. The scientific and philosophical systems set forth in his writings are not conclusions that must be taken as the final answer, but rather experimental positions arrived at through careful observation and analysis. During the slow intellectual climate of the Roman Empire, which ruled over much of Europe for hundreds of years after Aristotle died, and the totally unscientific Christian Middle Ages (476–1453), Aristotle's views on nature and science were taken as a complete system. As a result, his influence was enormous but not for any reason that would have pleased him. Aristotle shares with his master, Plato, the role of stimulating human thought. Plato had a more direct influence on the development of that great spiritual movement in late antiquity (years before the Middle Ages), and Aristotle had a greater effect on science. Antiquity produced no greater minds than those of Plato and Aristotle. The intellectual history of the West would be extremely different without them. Barnes, Jonathan. Aristotle. New York: Oxford University Press, 1982. Dunn, John, and Ian Harris. Aristotle. Lyme, NH: Edward Elgar Pub., 1997. Ross, W. D. Aristotle. 6th ed. New York: Routledge, 1995. ARISTOTLE had the kind of inquiring mind that is needed if one is to find the truth. He believed in reasoning based on observed facts. If he was alive today, he would probably be one of the foremost scientists of our time.